You knew right away when you turned into the South Florida Fairgrounds and Expo Center off of Southern Blvd. that there were just a few people here for the Palm Beach Summer Beer Fest. Once you found a parking space and made your way in the line to the front door, the sounds of the band came through loud and clear. This was a party, to be sure. 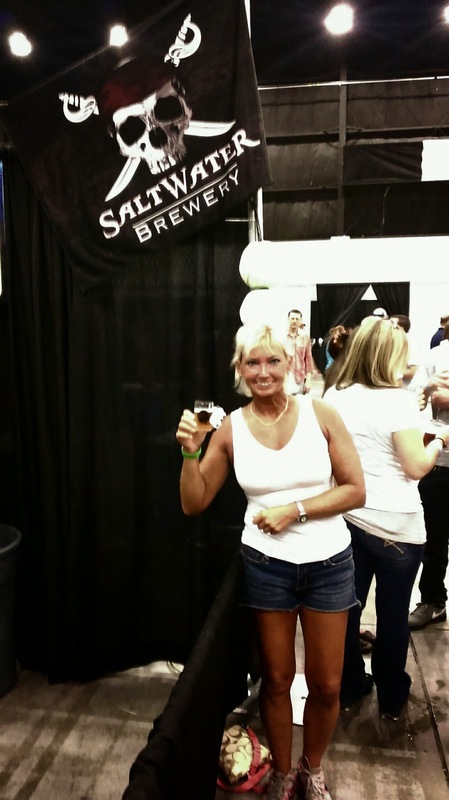 It was Palm Beach Summer Beer Fest 2014! You know that I love a beerfest! 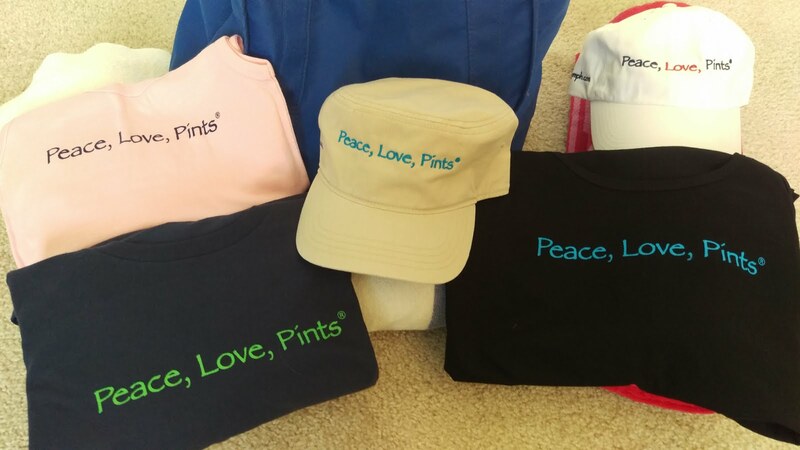 I have been behind the scenes, behind the jockey box, and under the banner at a number of fests over the past two years pouring for my beloved former brewery and taking and posting pictures of all the beer-lovin' fans. So, this fest had a little different feel to it for me, as I was on the other side this time. 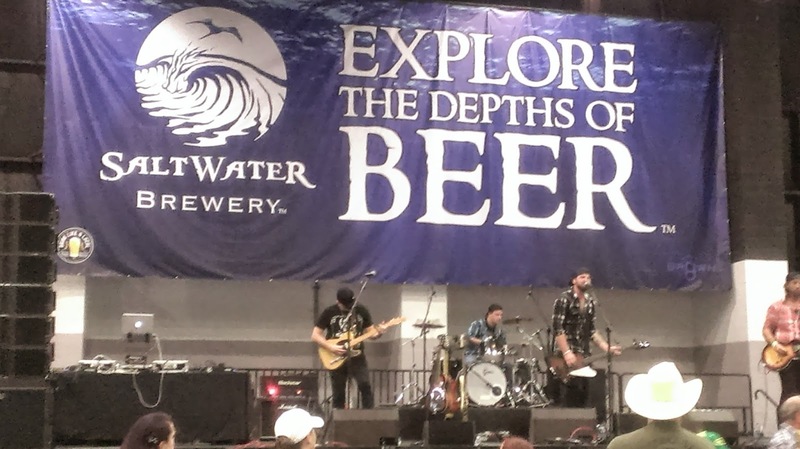 But hey, it's a Beerfest in one of my favorite places to visit: West Palm Beach! This one had been marked on my calendar since last year when I attended. So, I strapped on the 4-oz. souvenir cup to my neck lanyard, and ventured into the crowd. The Florida Breweries Aisle. 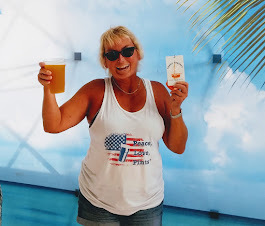 Think they like beer from Florida? And, that's no understatement! Fest started at 1pm. I had seen posts and pictures of the initial lines. I got there a bit after 1, and made it through the gates shortly after 1:30. The first thing, it's loud! The second thing, where the heck did all these people come from? The fest is set up like a typical expo: aisles, with booths on either side. Thing was, you got real friendly with everyone, because, well, everyone was where you were! There weren't really any lines, but more of a mass of bodies trying to get to the beer. Attitudes were really good, and it made for some laughs. 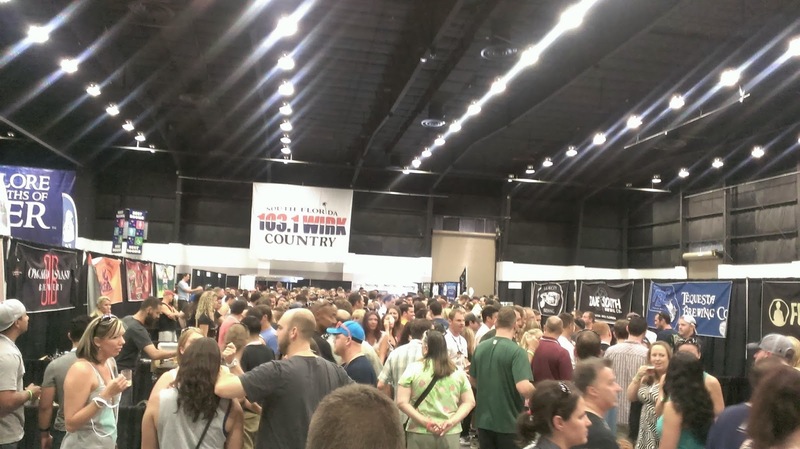 Just a few thousand beer fans all grouped in one spot. Holy hops! I don't know what the attendance was, but it seemed like every hophead was here. Tried a bunch of Saltwater brews. So, let's talk Florida. 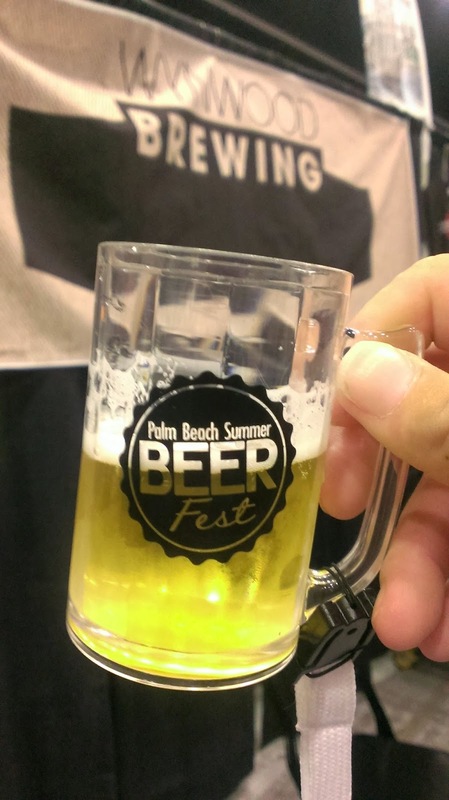 I started off with a Rickenbacher Pils from Wynwood Brewing (Miami). They had a corner booth, and I was able to sneak in there. Good tasty brew. Most of the Florida breweries were set together in one aisle, with a focus, of course, on South Florida. 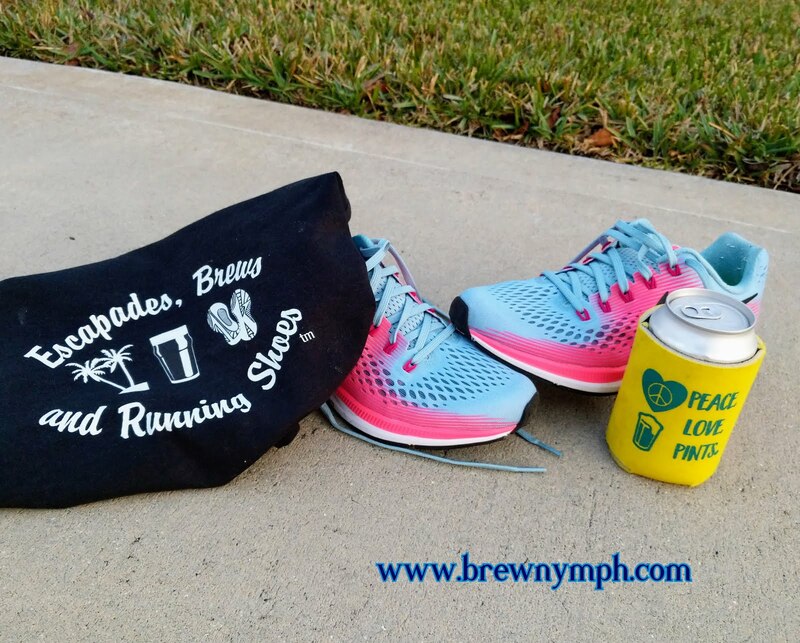 You would expect to see 'em: Saltwater Brewery, Funky Buddha, Due South, Tequesta Brewing, Native Brewing, Wynwood Brewing, Florida Beer Co., Holy Mackerel, Cigar City, Brew Bus, and some new ones, too: Holy Waters Brewing, Lagerhead Brewing, Orchid Island Brewing, and others (see the website for a complete list. I've met these guys at prior fests, and congrats to them for their efforts and producing some really good beer. My check-ins on Untappd got a little out of control. There were a lot of different beers to choose. 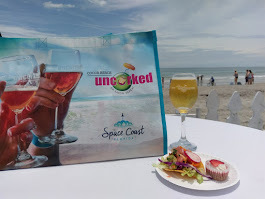 Some of the breweries had their "usuals," but others came in with some really creative styles. And, if you didn't know what you wanted or just wanted to give something new a try, all the styles were in attendance. I won't list all the beers that I sampled, but I did try a few Pilsners, porters, and pale ales. I may have had an IPA or two. The peanut butter apple ale from Due South was a very sensory experience, from the nose to the taste buds. 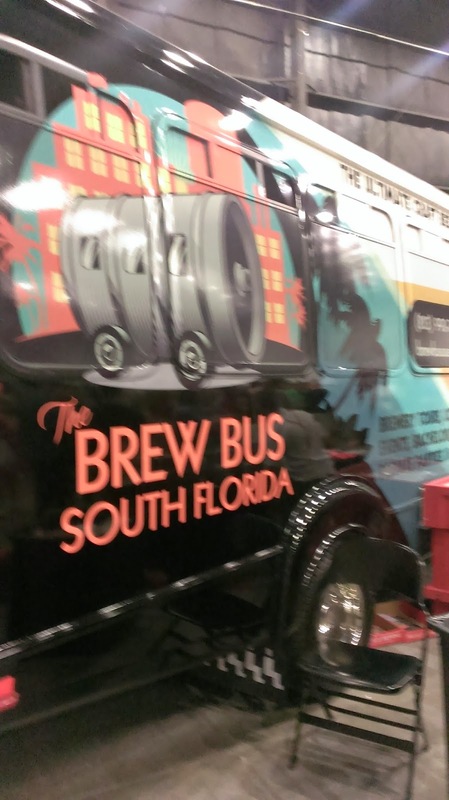 The Brew Bus was here, too. I'd like to hop on sometime. In addition to the Florida brew, there was plenty of beer from regional, national and international breweries. Lots of cider, too. Many favorites. And, if you got hungry, they had you covered (so to speak). An outside area featured food trucks, where you could get anything from BBQ, to fries, to vegan, to bagels. Several radio stations were also on the premises, and you could even get your computerized photo taken with Tiger Woods, Tom Brady or Johnny Manziel at the ESPN booth. (disclaimer: they were cardboard). Three bands played over the course of the afternoon, and as expected, later in the day, there was more dancing. 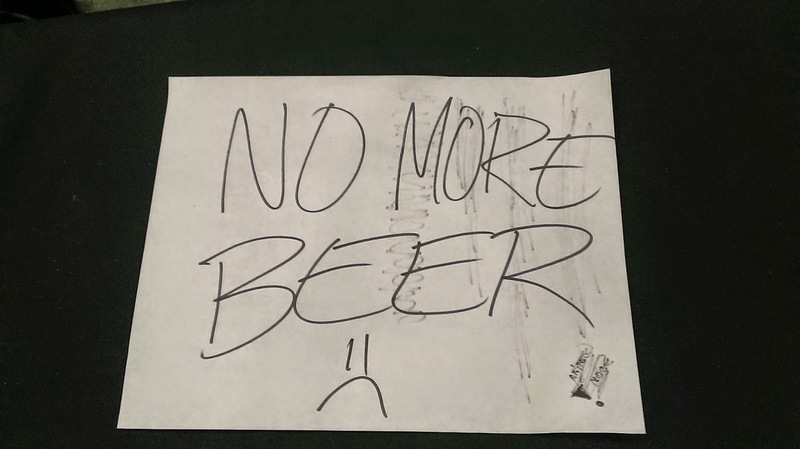 And, as happens with every beerfest, at some point, the beer starts to run out. That's how it goes. The sign at the Due South table. Put this one on your calendars for next year, everyone. 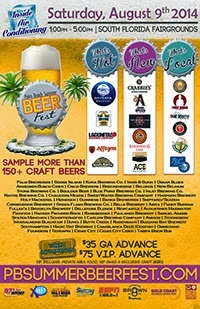 Check out the website at www.pbsummerbeerfest.com. General admission advance sales $35, VIP $75. The VIP price got ya a bigger logo mug, some exclusive beers, and access to private catered food. Maybe next year, they can do something to make that Florida brewery aisle wider, or only do one row of booths. But, maybe it wouldn't matter--they're all so popular. All in all, a fun time in a fun place. I'll be back next year. So, what's a girl to do after a beerfest? 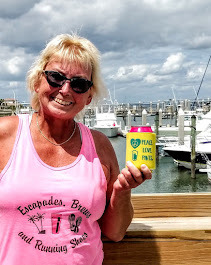 Well, I stayed overnight in one of my favorite areas, Abacoa in Jupiter, about 15 miles north of the fest off of I-95 (no golf clubs this time around). Hit one of my favorite watering holes there, and then... the foodgasm... But, that's another story...... coming next. Til next time, sweethearts! See you out there in the breweries and beer bars. 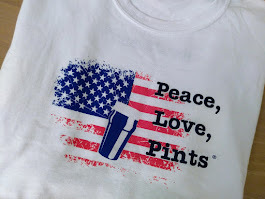 Peace, love, pints.... 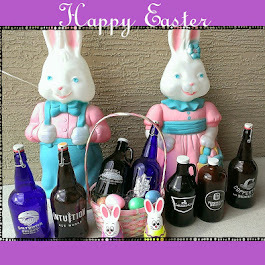 Cheers and Happy Hopping!